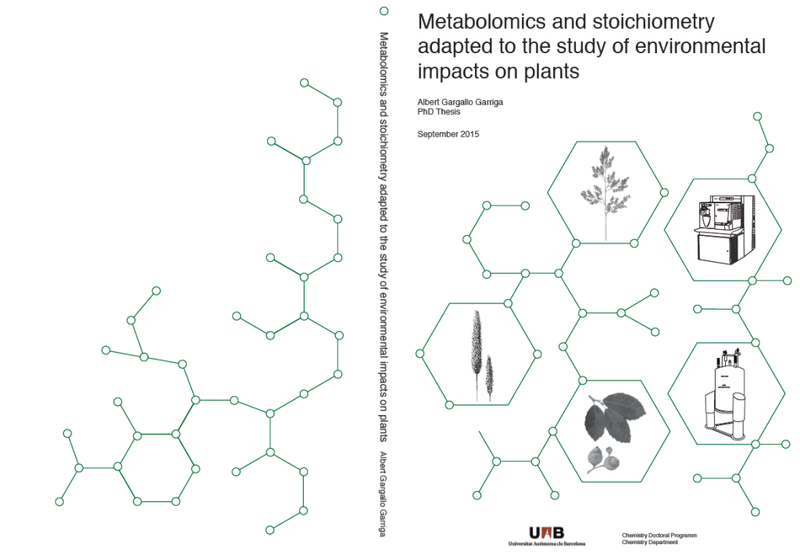 Shifts in the elemental stoichiometry of organisms in response to their ontogeny and to changing environmental conditions should be related to metabolomic changes because elements operate mostly as parts of molecular compounds. 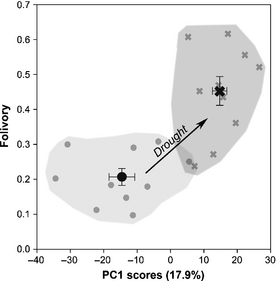 Here we show this relationship in leaves of Erica multiflora throughout their seasonal development and in response to moderate experimental field conditions of drought and warming. The N/P ratio in leaves decreased in the metabolically active growing seasons, coinciding with an increase in the content of primary metabolites. These results support the growth-rate hypothesis that states that rapidly growing organisms present low N/P ratios because of the increase in allocation of P to RNA. The foliar N/K and P/K ratios were lower in summer and in the drought treatment, in accordance with the role of K in osmotic protection, and coincided with the increase of compounds related to the avoidance of water stress. These results provide strong evidence of the relationship between the changes in foliar C/N/P/K stoichiometry and the changes in the leaf’s metabolome during plant growth and environmental stress. Thus these results represent a step in understanding the relationships between stoichiometry and an organism’s lifestyle.